Compatibility: Make a wish. 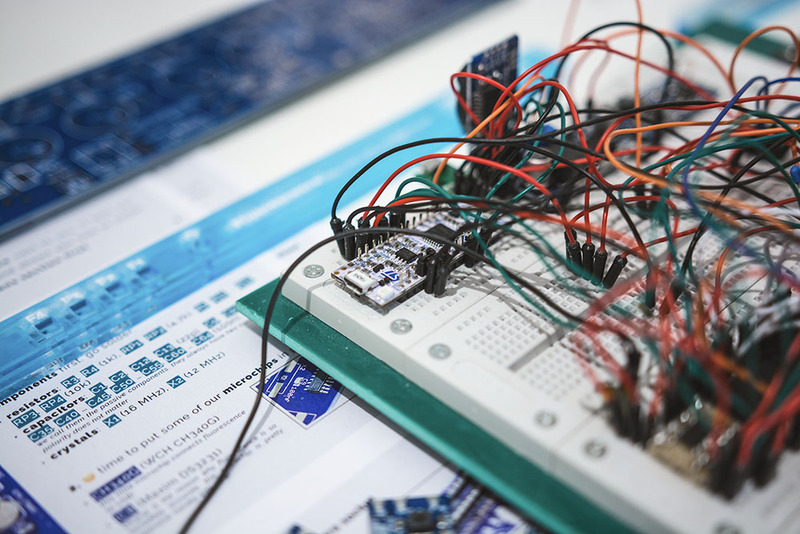 Whether you are on an Arduino, STM32 or ATmega standalone, version 3 will adapt to the platform you're working automatically and choose the right files to include. BTW, it's all plain white C! Nixie: That's a powerful promise. Yes, version 3 will natively support nixie tubes. Finally! Is on the way! Just thinking about whether I should release it with firmware version 3 or not to make it much more versatile. Please let me know your opinion. Now it uses Bluetooth to communicate with Fluorescence or any OpenVFD running firmware version 2. Engineering is done. Next is for the app to make its way into the App Store! The other end is equipped with an HM-10 Bluetooth module with logic level translator, as the ATmega328P of Fluorescence talks in 5V logic and the Bluetooth module needs 3V3. The module is connected to VCC, D9 (constant GND), D10 (TxD) and D11 (RxD) of the extension header of Fluorescence. Both USB and Bluetooth share the same communication protocol, while the latter being software emulated (SoftwareSerial). This is why I'm happy to tell you that more Fluorescence Kits are available for pre-order again now! Shipping will take place starting next week. So get your DIY Kit and build your own colorful timepiece. Since you're here, have a 20% discount code over the DIY kit: MAKECOLORSNOTWAR (Redeem until August 31st, 23:59). Berlin. Home to where colors are made. I'm a 20 year old electrical engineer student currently living in Berlin, Germany. This page, THE VFD COLLECTIVE was brought into life to promote my VFD tube digital clock (Project OpenVFD) and let everyone who enjoy doing creative nerd stuff with VFD displays and tubes to share their work.